Initial step. Assign the bot power to your room. 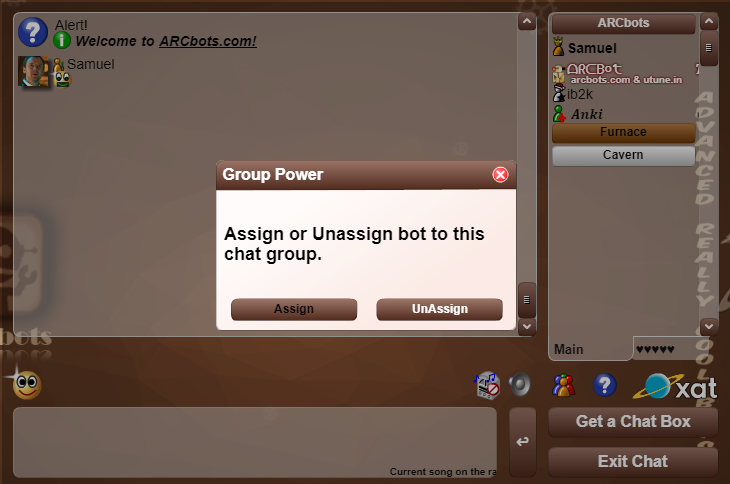 To do this, type "(bot)" in the main room of your room and click on smiley of power bot, when you clicking it will appear a message and you will have to click on "Assign" Click for example. 2. 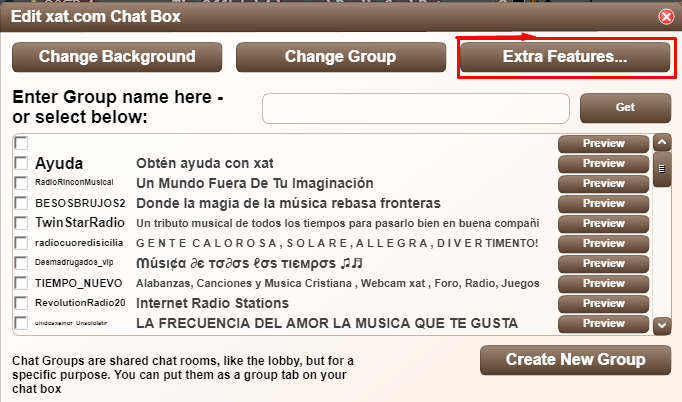 Click on "Edit your chat" Click for example. 3. Click on "Extra Features…" Click for example. 4. Find the BOT power and active it. 5. Click on EDIT button and enter 1510151. 7. Update the options of powers.